Are you looking for the perfect Badlands Christmas Card shot? The Theodore Roosevelt National Park is open and photogenic. Maybe you can get lucky and one of the stars of the park will pose with you. One a warm day, a few sleepless prairie dogs will pop up, bison will wander down the road, and the wild horses are scattered about. Traffic is light, except when the locals decide to go somewhere. Sit back and watch what it’s like when you share the road with bison. That’s what we did, this week, watched the bison and then explored Wind Canyon Trail for a Christmas card backdrop. Along the way, we took a moment to watch a band of wild horses feed along the road. They were just past the Peaceful Valley Ranch, grazing contentedly. Since there are fewer visitors to the north or south unit of the Theodore Roosevelt National Park, you won’t feel rushed. You can spend more time sitting and watching. If you’ve visited the wildlife at the park in the summer, you’ll see a few slight changes in the winter. As you can see, the coat on the horses is thicker now that it’s getting to be winter. It’s what they do. You see, the only animals the park supports are their own saddle horses. The wild horses fend for themselves just as they always have for hundreds of years. Going all the way back to the days of cattle drives up the Long X trail, horses like these have known how to take care of themselves. Bison do well in the Theodore Roosevelt National Park all through winter. Often the skies are cloudy when you want to visit the Park, and so colors can be a bit drab. So, plan to visit on a day when the sun shines. 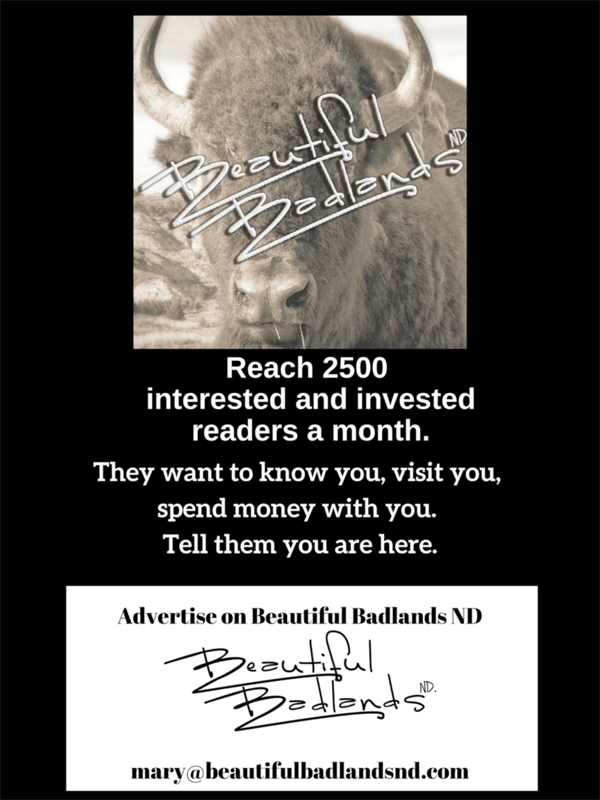 Have you tried black and white photos of the Badlands? Expand your creativity and see what you can photograph in black and white. If we get tons of snow, the park is very photogenic, very pretty. However, the loop in the south unit and the far extension in the north unit will be closed to vehicle traffic, but if you cross-country ski, you can use the snow-covered roads to get a glimpse of the stars of the park. Want to know what is happening and when you should make your plans? We have a resource of local calendars to show what is happening when and where you visit.